The Baby Show 2016 – WIN TWO PAIRS OF TICKETS! Over 200 trusted brands offering visitors amazing discounts and the chance to test and try before you buy. 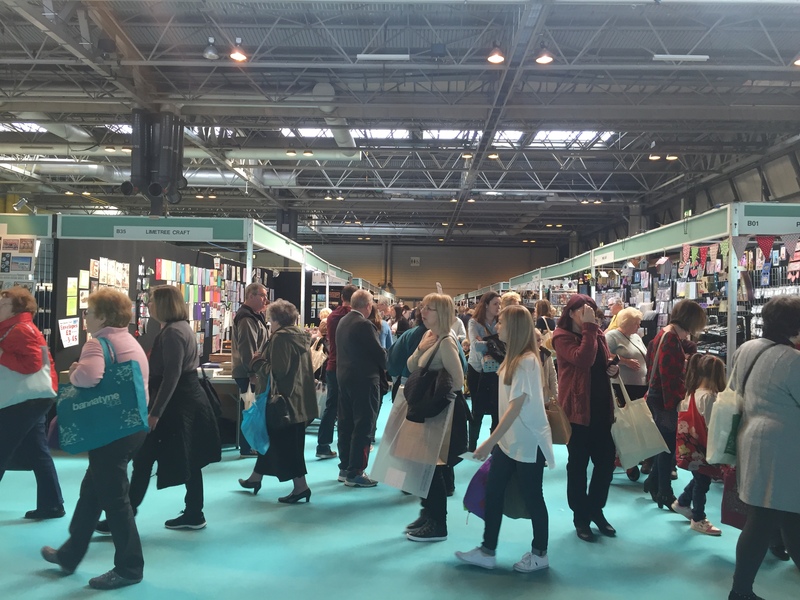 The Baby Show Stage with MadeForMums will feature a selection of renowned experts, including nutrition specialist Annabel Karmel MBE. Catwalk shows with all the latest fashions in maternity, baby and toddler wear. 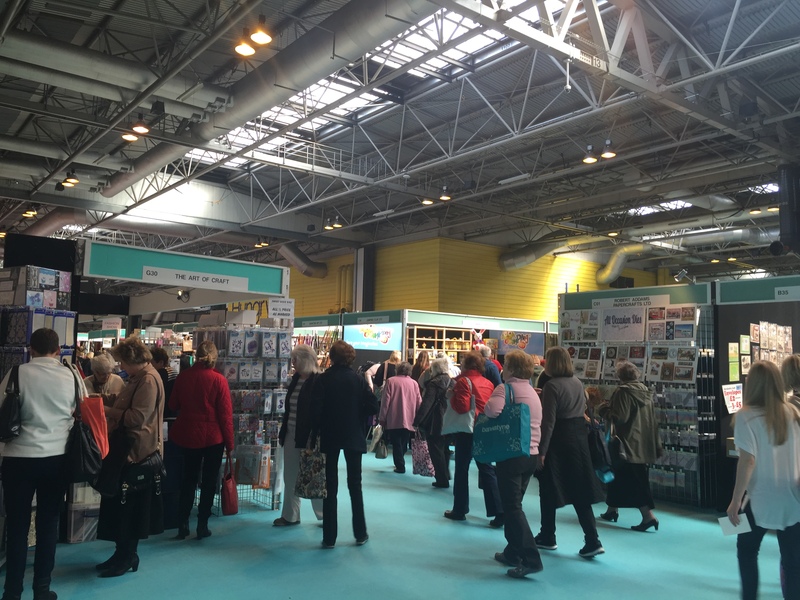 Exclusive show offers and competitions from top parenting brands. A dedicated feeding area provided by Tommee Tippee and the ALDI Mamia Baby Changing Area with wipes and nappies all included. Emma’s Diary free Shop & Drop and Collect-By-Car services allowing you to leave your shopping bags with them until you’re ready to leave. I went to the baby show last year with my sister in Law Rachel from Parenthood highs and lows. I had a fantastic time with her and her little one Benjamin. I now have the opportunity to give not one but two pairs of tickets as a giveaway to lucky readers. All you need to do is follow the instructions on the Rafflecopter Widget to be in with a chance of winning. Please ensure you complete the entries as directed as they are validated and any incomplete entries will be disqualified. Please see all terms and conditions below. The prize will be dispatched within 21 days of receiving the winners details buy the company. Woo Hoo….Finally a nice long four day weekend, Yes I know some of you get 2 weeks off. Work has as always been crazy and it’s not looking like it’s getting any quieter any time soon. Happy Easter Everyone. A few blog posts and that’s about it really. I have watched the new series of One born every minute, Tuesday’s 9pm Chanel 4. I have been watching this ever since it first came on the TV. I love watching it even if it does make me super broody. A dress to a friend’s daughter wedding reception. It was a lovely evening. I never have a clue what to wear to weddings/wedding receptions. I need to get some more clothes for special occasions as I have quite a lot of weddings/receptions of family and friends coming up. 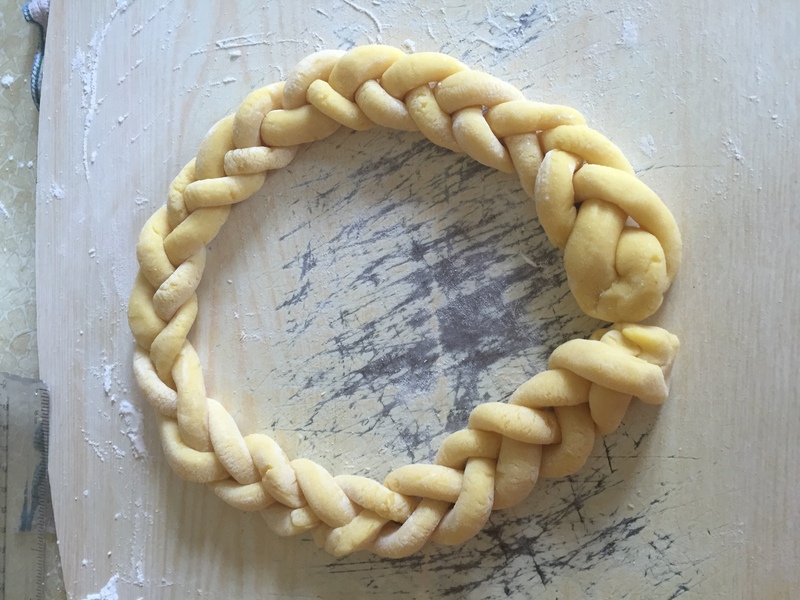 I don’t think it counts much as “made” but I plaited marzipan to put on top of cake at my friend’s house. It doesn’t look very pretty as marzipan is hard to platt without it breaking. But here’s it is. I do love marzipan. It was my nephews birthday on Monday he turned 8 Years Old. I just don’t know where the years are going. He had his party at Laser quest and had a fantastic time with all his school friends. Were off to my cousins this Easter weekend to catch up after not seeing her and fiance since last year. So excited to see them both. 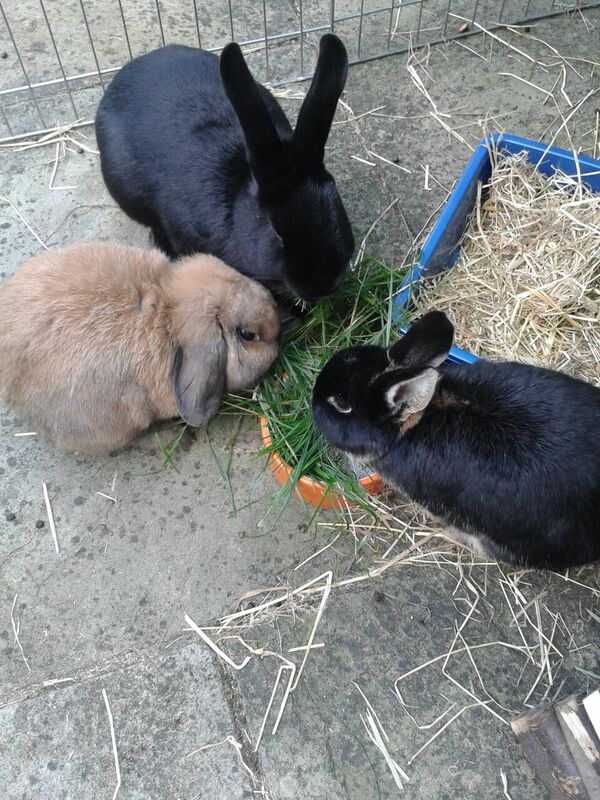 Hope you have all had a great week and Happy Easter and don’t eat too many eggs. In February 2014 me and my boyfriend decided we were going away for a weekend, we decided on Suffolk for our 5th anniversary and Valentine’s Day, the weather was cold but lovely and sunny, we arrived early afternoon and we went and checked into our hotel, we stayed in a Premier Inn and went up to our room, unpacked and decided what we were going to do for the rest of the day/evening. We headed out and had a wander round the town to see the sights, and we paid a visit to the arcades on the beach front later on in the afternoon too, I love arcades and have done ever since been a kid. We spent about an hour in there in total with me on the 2p machines and tom on basketball games and other machines, both getting addicted and winning lots of tickets to buy prizes with. It was very busy with lots of families and kids playing on all the different machines. After we had finished in the arcades, Tom said shall we go for a walk along the beach before we head back to the room to get ready to go back out and find somewhere to get some dinner, it was a lovely evening with the sun just setting overhead, the quiet sound of the waves washing up over the sand and stones.The beach seemed to go on for ever. We stopped to just look out over the sea and watch the moon rise over the sea and that was then when it all happen…. I turned round to see my boyfriend had got down on one knee and asked me to marry him on the beach with the sun setting overhead……it was amazing and perfect in every way. I got choked up and cried, I was so excited and wasn’t expecting it at all. We had spoken about getting married and looked at rings but that was it really. I couldn’t wait to phone all my family and friends up and tell them that I was engaged. I couldn’t stop smiling and still look at my rings every day and just smile to myself. We have been engaged for 3 years this February and together for 7 years. Now we have finally booked and are starting to plan our BIG day for July 2017. 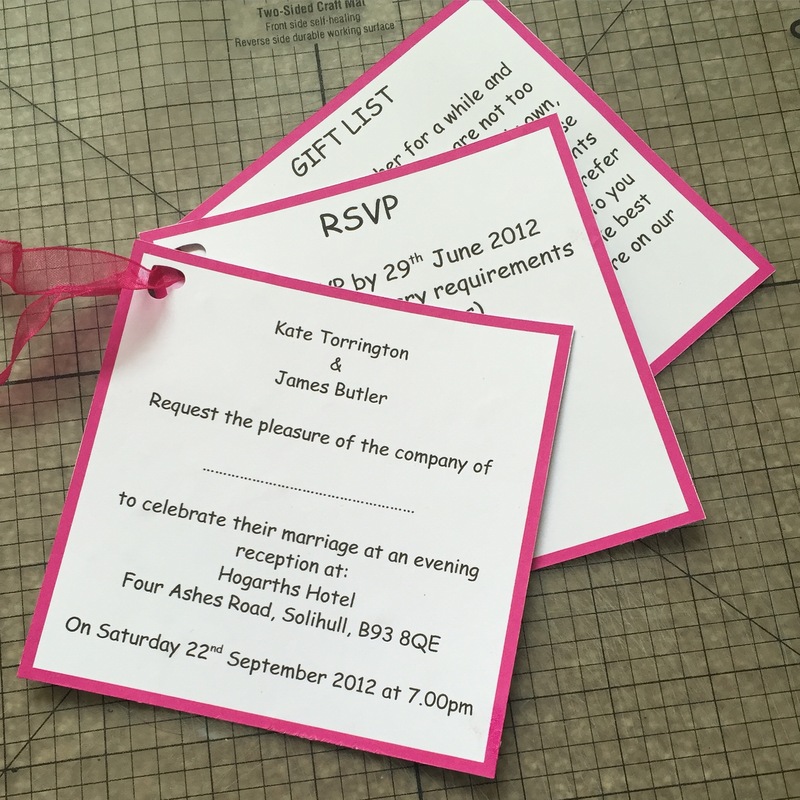 Have you got any wedding plans? 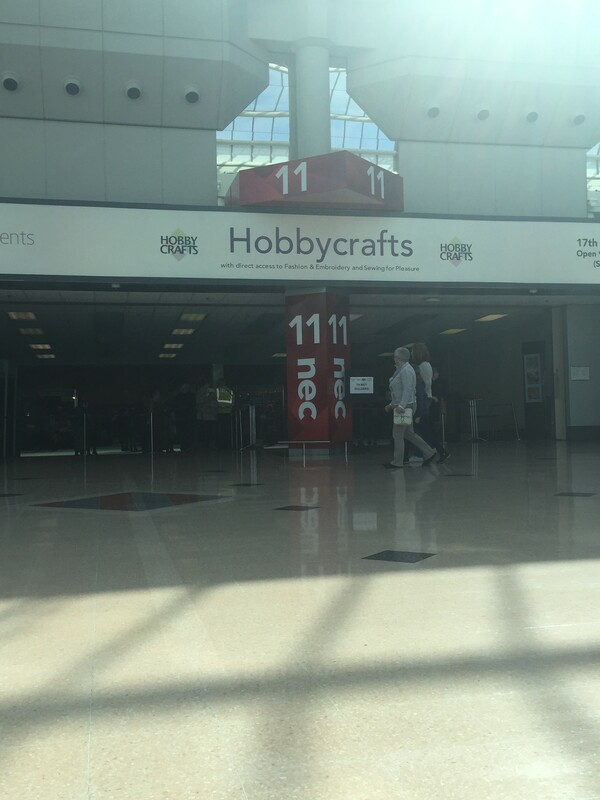 On 20th March I headed out to the Hobbycraft show at the NEC Birmingham with my friend Heather. I was offered a pair of free access all area press passes to go. There were lots of different exhibitors some I had heard of, others I hadn’t. 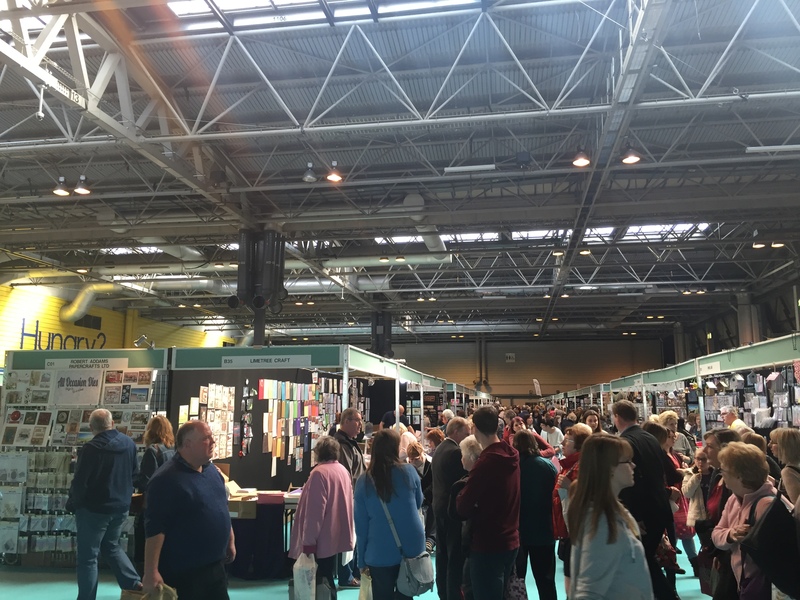 It was very busy as we went on the last day the show was on. We arrived in the halls at around 10.30am after finding the press office to collect our “Press passes”. felt like real VIP’s for the days. We did stop for lunch around 12pm and then wondered round another hall, 3 in total to explore. We left around 2.30pm. This is a yearly show that happened around March time. I love going as you can get lots of bargins for your crafts. I’ve lost count how many times I’ve been but have been previously with my sister in Law Rachel and my Mum. If crafts is your hobby then going to this will be so worth your time. Great day out and the atmosphere is good too. Bargins everywhere. *I was given a free pair of press passes for the show all opinions and thoughts are my own. 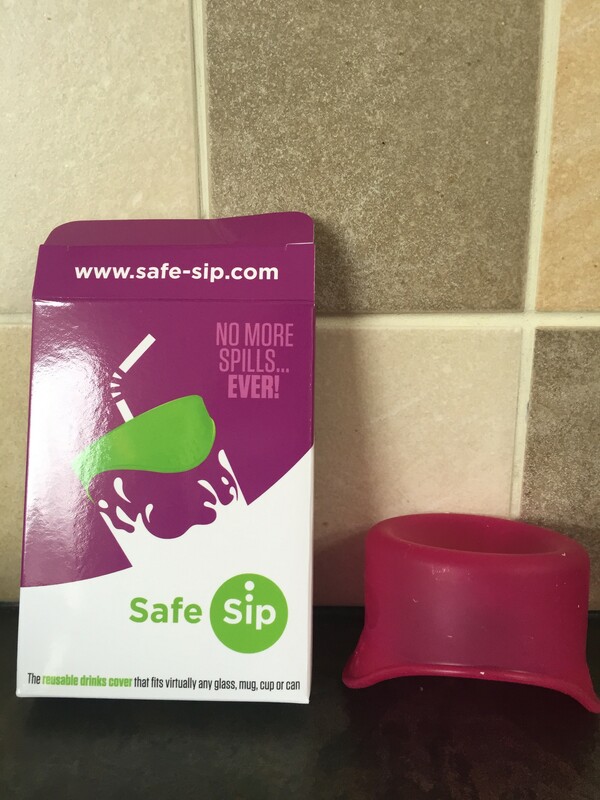 Safe Sip No more spills….EVER! I had never heard of this company or product before today but wow i’m impressed. 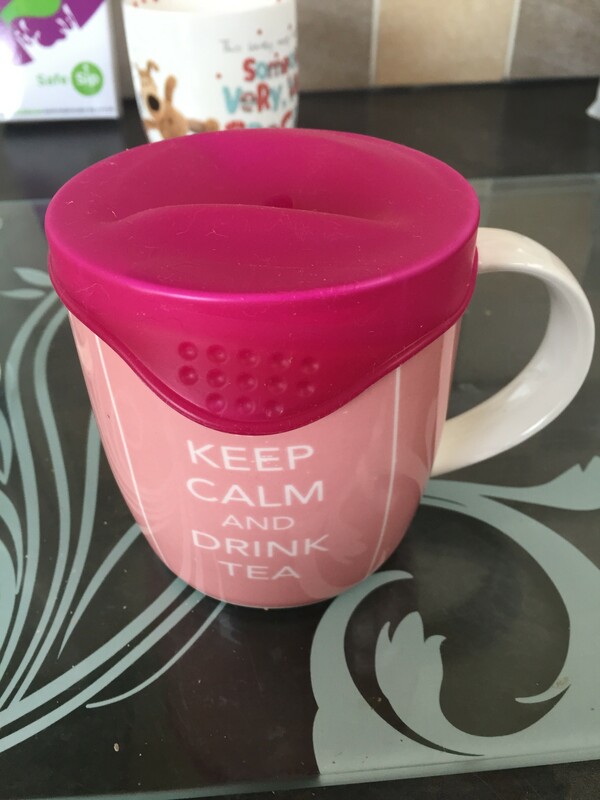 I was asked if I wanted to review their products which are called Safe Sip and they are silicone tops that fit virtually on any Can, Mug or Glass or Cup. With having 4 Nephews these will be perfect for when they come over so I don’t have to worry about them spilling their drinks by accident if they are sitting on the sofas or if they get knocked over. As you can see they fit exactly on an mug or glass. Sadly I didn’t have a can to try it on as I rarely buy cans of drinks. 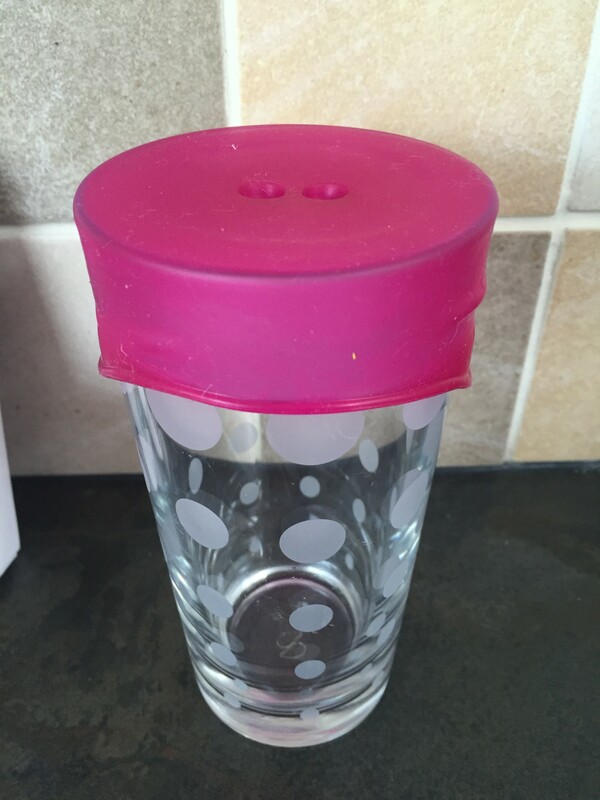 They fit tightly around the glass/mug creating a suction seal to keep it in place so when it does accidently get knocked, dropped or tipped it stays in the exactly the same place as you put it. This company offers different pack sizes, single, double, triple and even quad, they also include other accessories and all can be found here. The one thing I would say is I feel they are a little on the expensive side but do offer free delivery when you purchase certain packs and they do delivery outside the UK. I am now giving you lucky readers the change to win a quad pack of “SafeSip” silicone tops worth £12.50. To enter, please complete the Rafflecopter widget below. All terms and conditions can be found at the bottom of the page. 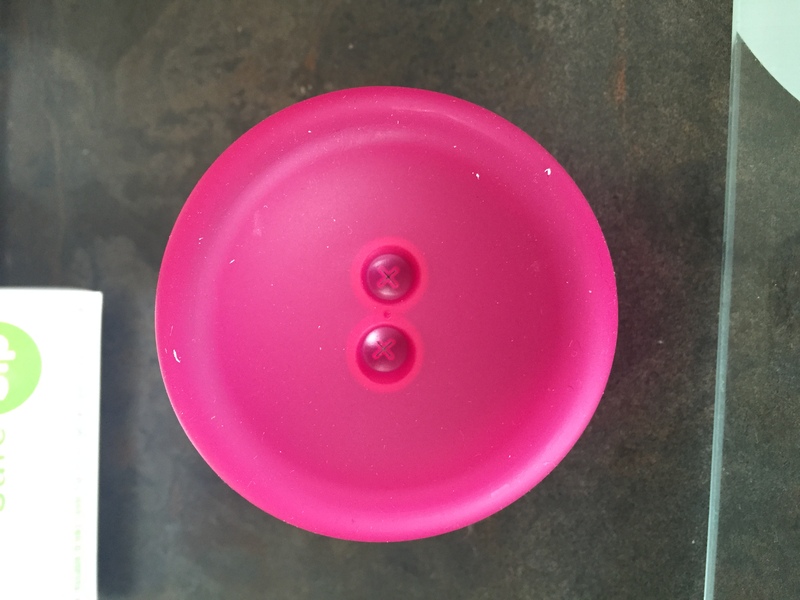 There is one prize of a pack of Safe sip Silicone tops. No cash alternative. There is one prize of a quad pack of Silicone Safe Sip tops. No cash alternative. I was sent these product for free, all opinions are my own. Well Hello again FRIDAY! 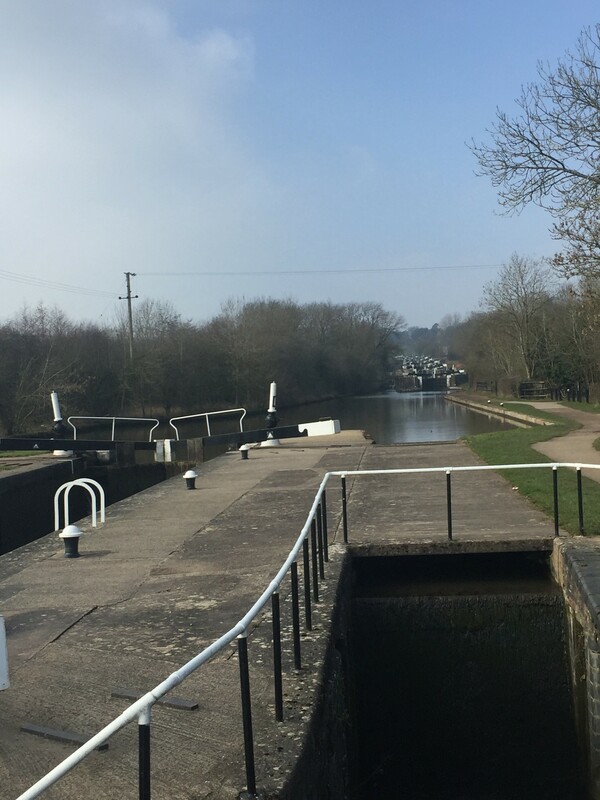 It has been another mad week, but it was topped off with a lovely sunny walk round Hatton Locks with the In Laws and there 2 dogs on Sunday. The weather has been lovely but now it has started turning wet again. Not much this week at all, think I read a couple of pages on my kindle book before I fell asleep while reading it in bed. Nothing this week, just don’t seem to have had time to watch anything. Not yet, but brought myself a couple ok maybe 4 pairs of new shoes, nothing special, a new top and a pair of leggings on my lunch from work. I was asked by a colleague at work if I could make a birthday card for her to send to the US to family member. She wanted something pretty with lots of colour and sparkly, she had a look through my Facebook page and decided on the iris folded cake one. I used satin ribbon to give it a different effect. Nothing out the ordinary this week. No extra news I’m afraid this week. I don’t know about you but I am forever loosing my headphones or getting them twisted, caught and knotted in the bottom of my handbag, around my purse, my house keys or whatever rubbish I have in my bag. Then it is a case of emptying the contents of my bag out to find them. 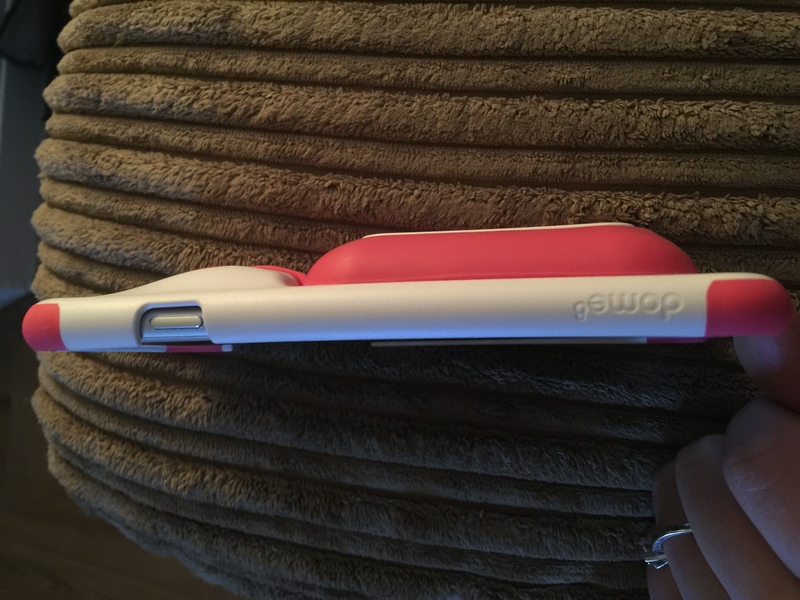 When I was offered to trial a new phone case with a headphone section inbuilt from dome8 I said yes straight away. Blue Ocean & Black, Black night & Black, Black night & White, Black night & Fluoro Green and Watermelon Pink & White. These can be seen here. I choose the Watermelon Pink & White case. I was really excited when the case finally arrived in the post, I couldn’t wait to open it and try it out on my phone. When it arrived for some reason I was expecting it to be a flexi case, so when I got it out the box I was surprised to find it was a hardback plastic case. 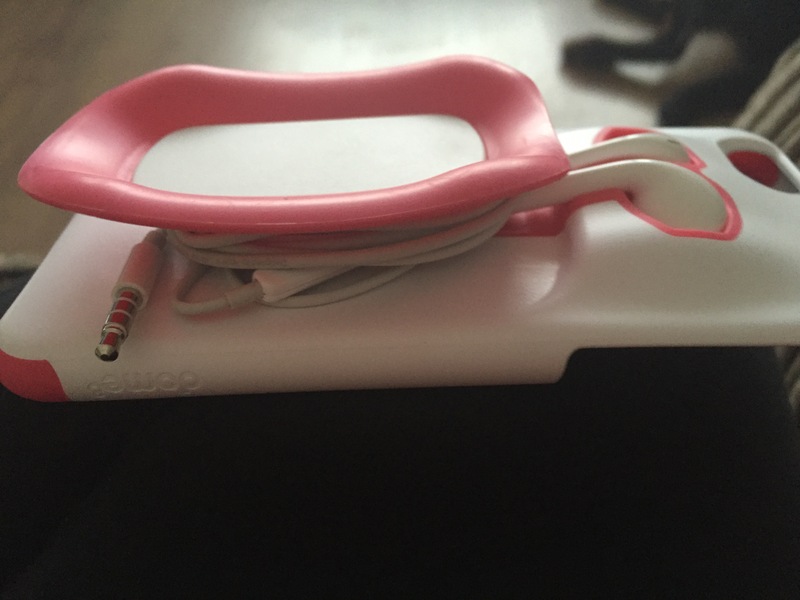 The case was fantastic, sturdy, rigid and would certainly protect your phone if dropped. 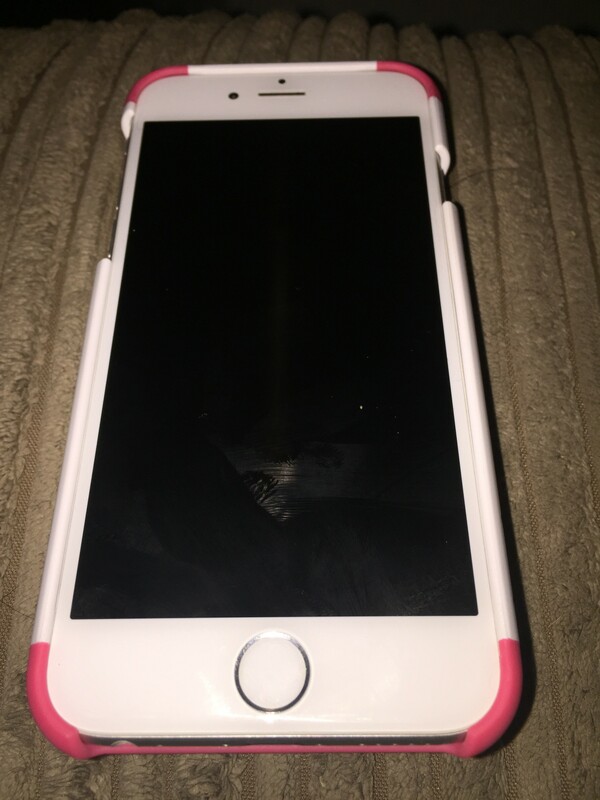 The grip was great and your phone wouldn’t be slipping and sliding out your hands when in use, as some cases can have that shiny look to them making them slippery to hold. I use my headphones pretty much every day so would be lost without them whether it’s to listen to music on the way home from work or make a call while working to keep my hands free. 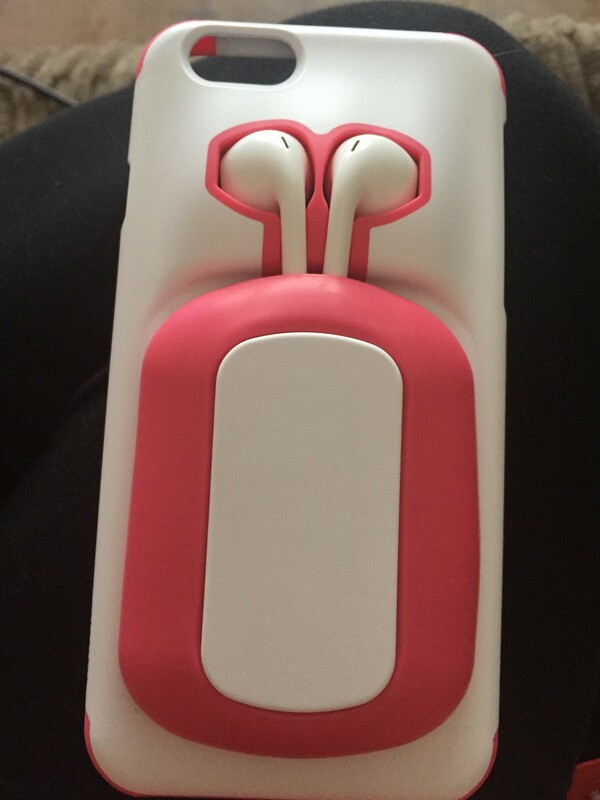 This case is perfect, especially if you tend to drop your phone a lot. Priced at £14.95 plus free UK delivery. I think it is a very reasonable price for a phone case of that spec and is of a very good quality. Now I am offering one lucky reader to have the chance of winning one of these cases for themselves in whatever colour they like. They’re available in different sizes and colours. The whole range can be found here. The closing date is Sunday 3rd April at midnight. 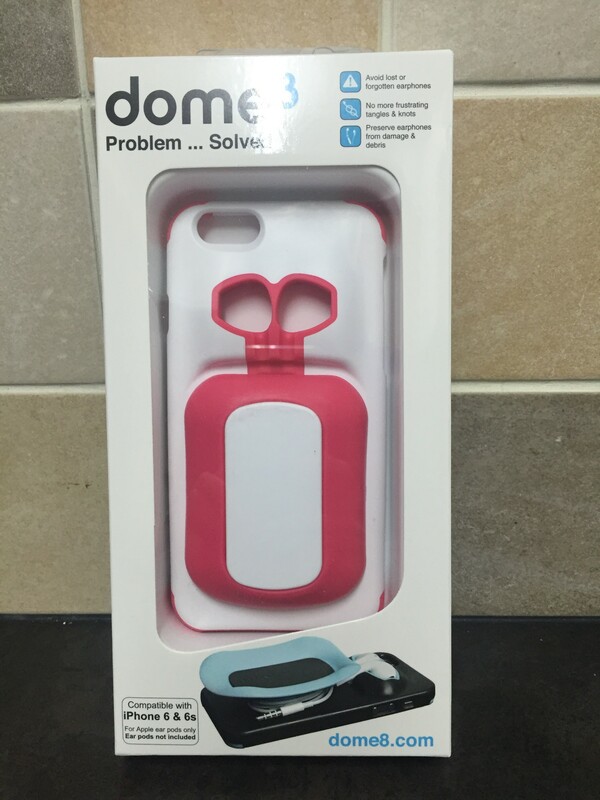 There is one prize of a dome8 phone case. No cash alternative. The prize will be dispatched directly from the brand. *This product was sent to us for the purpose of this review, but all thoughts and opinions are our own. 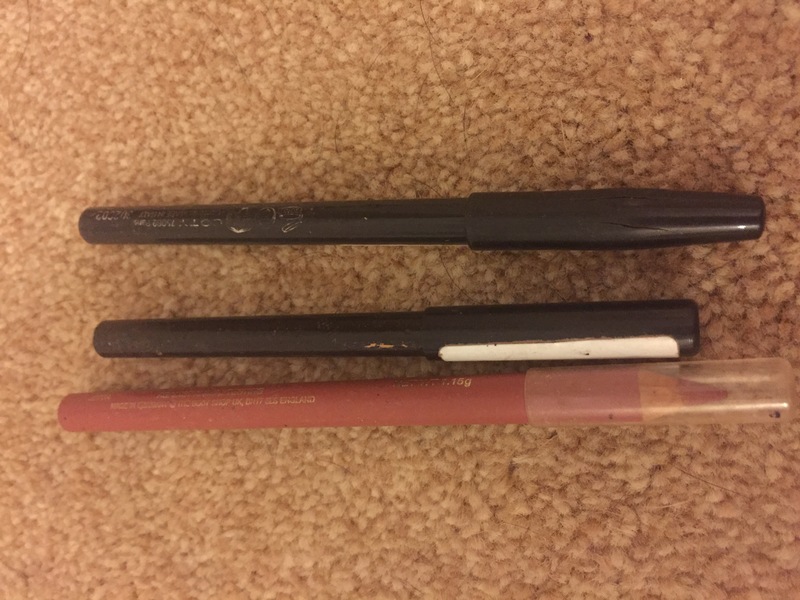 What’s in your… Make up Bag? For many years now I have been wearing make up, I have never been one of these people who absolutely plaster make up on and spend a fortune on it either. There are so many different brands of make out there now: Rimmel, No 7, Max factor, maybelline, Garnier and many many more. 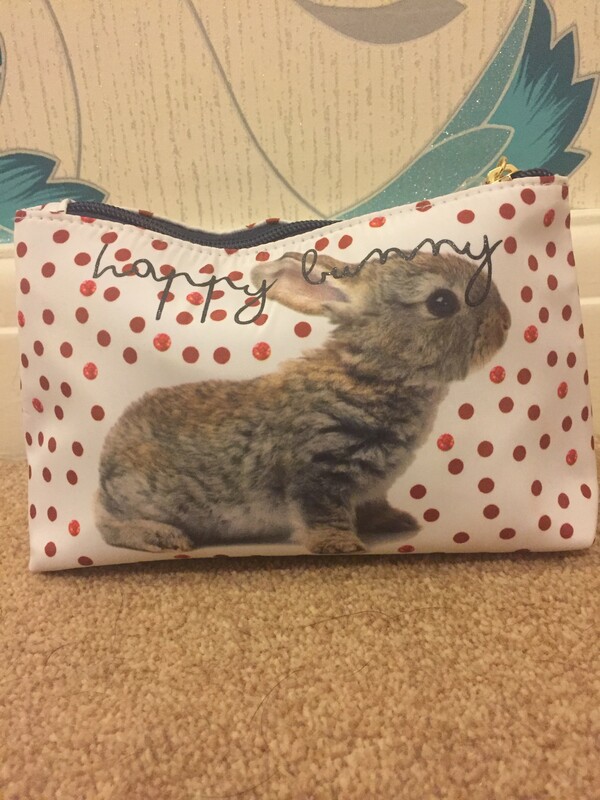 This is my make up bag, my fiance brought me this for my birthday…Isn’t it cute. I buy all my make up from boots but on the very rare occasion I can’t get anything from there I will go to superdrug. 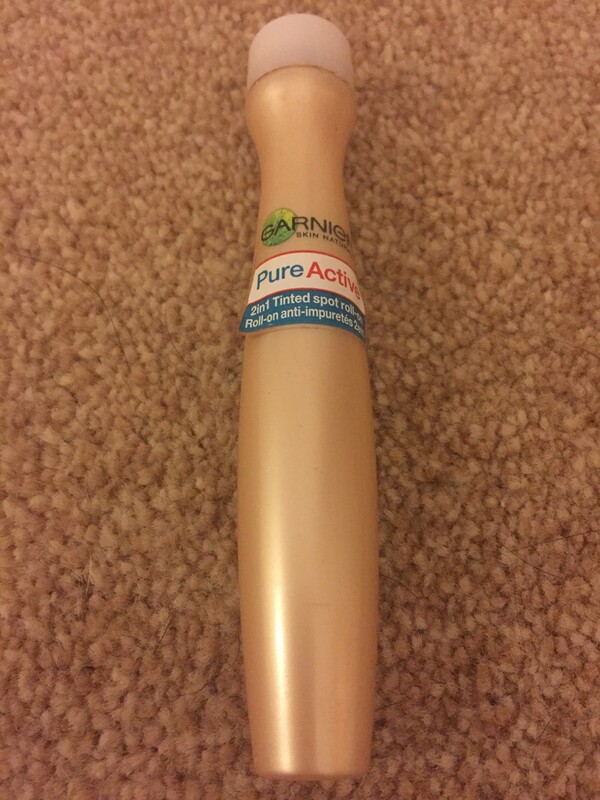 Eye roller – Garnier is a fab brand. I think I actually brought this from sainsburys quite a while ago, and even though I use it every day it seems to last forever. 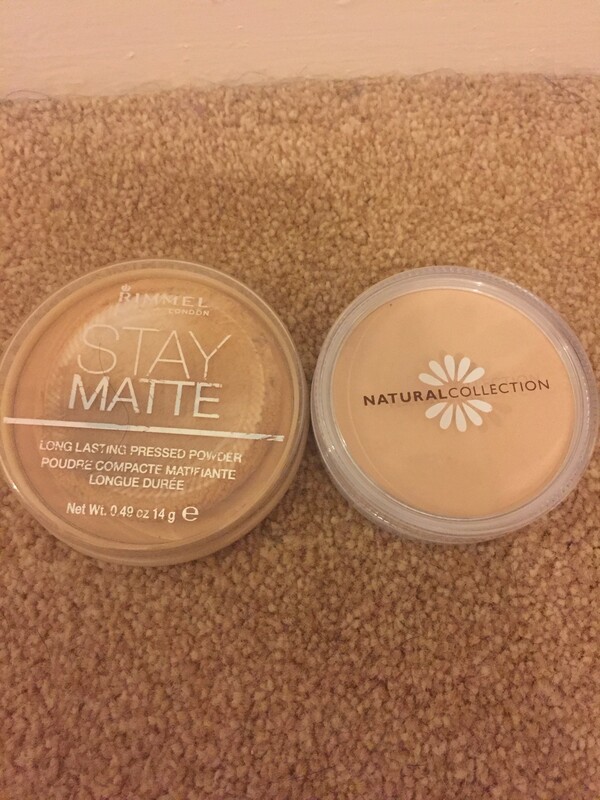 It’s great for covering my bags/circles under my eyes. 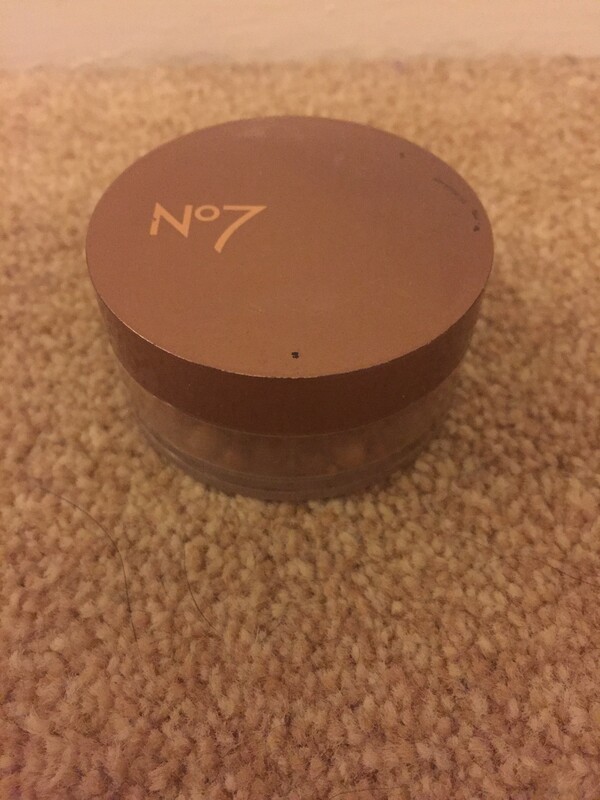 Powder – You can buy this from here. I but the natural colour as I have an olive skin so don’t want to look to pale. 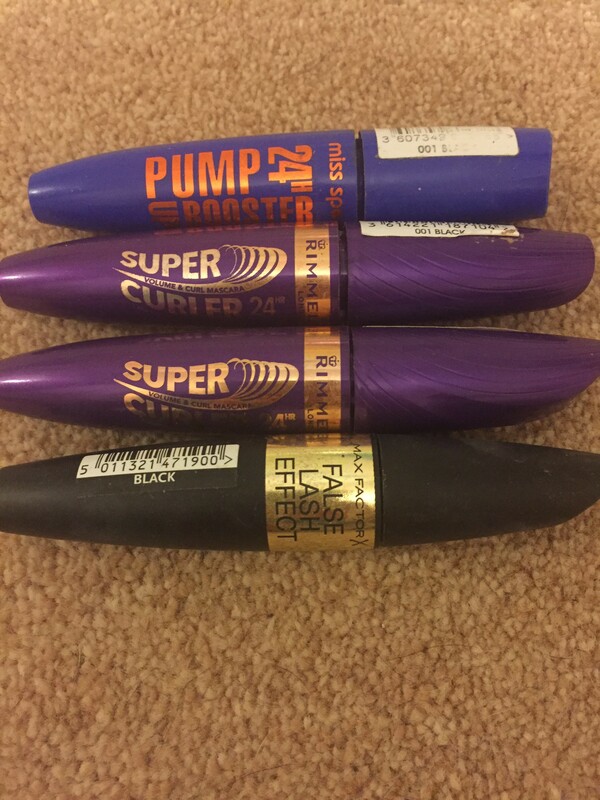 Ok, maybe 4 mascara’s is a little many but they are amazing, they make your lashes so full and amazing. They can be found and brought here at £6.99 I don’t think it is expensive for a decent mascara. The black one was actually a freebie through the post. These are amazing little balls of joy. They have tiny bits of glitter in them as well to give you that extra glow. You can buy them from here at boots. 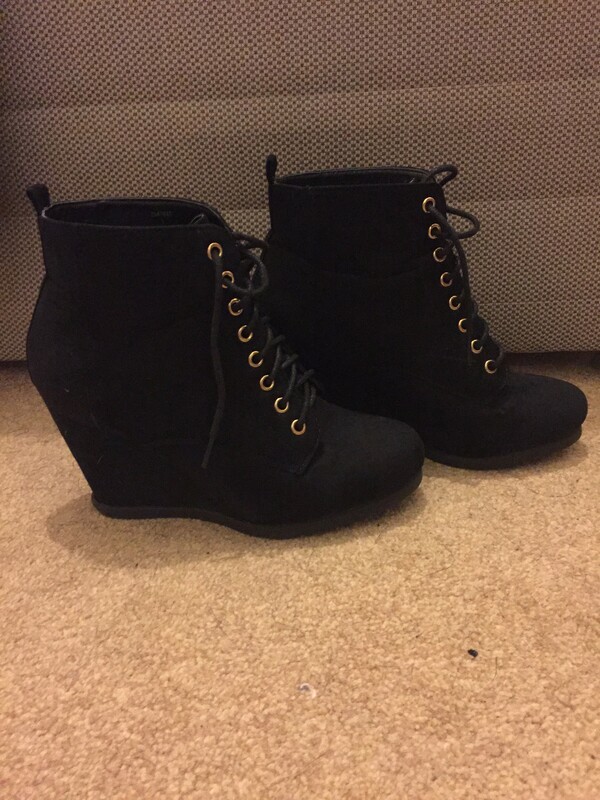 Priced at £9.95 they are maybe a little expensive but are amazing and last a long time. 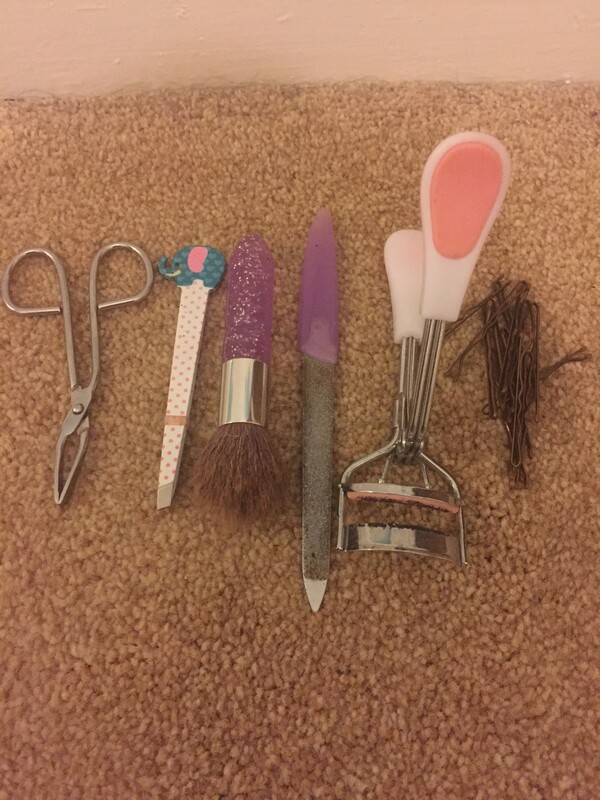 Tweezers, brushes, hair grips, eye lash curlers and nail files. 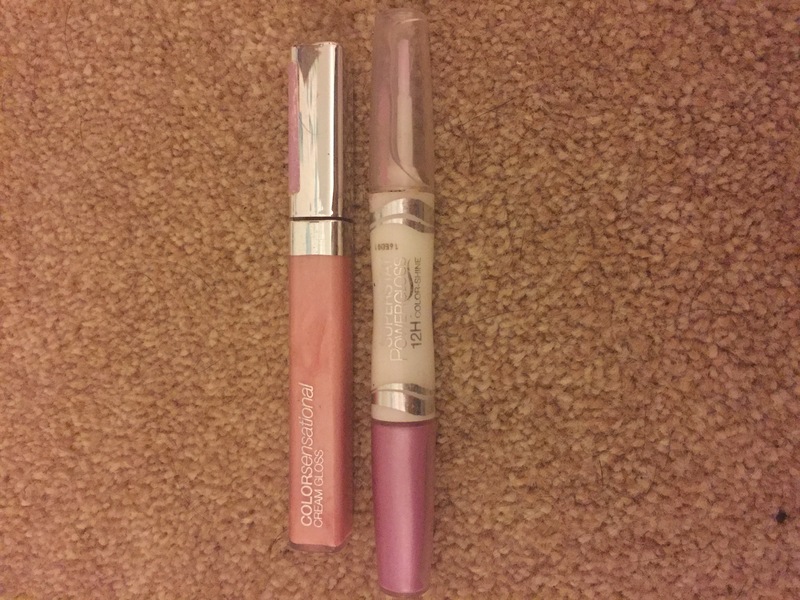 Lip gloss – I don’t wear lipstick but love lip gloss, but these are the only 2 I own. I don’t wear them every day usually just when I go out. 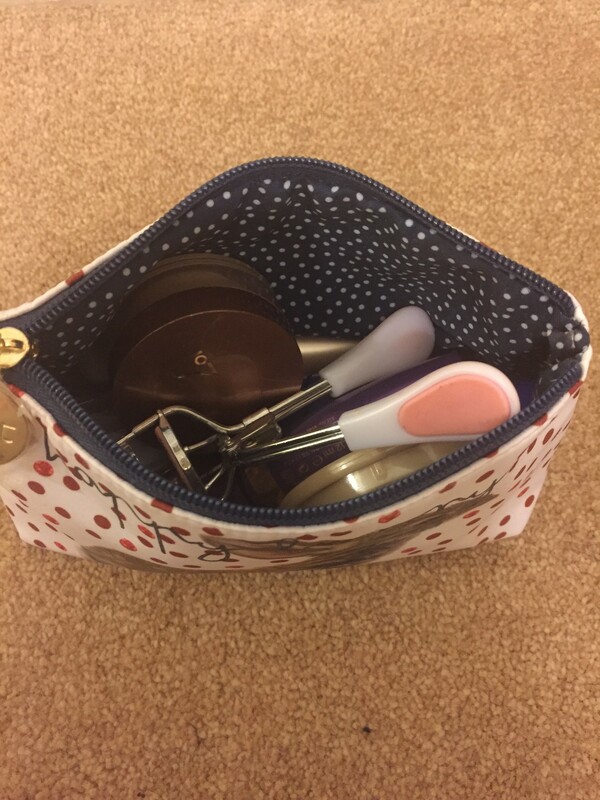 So….What’s in your make up bag. 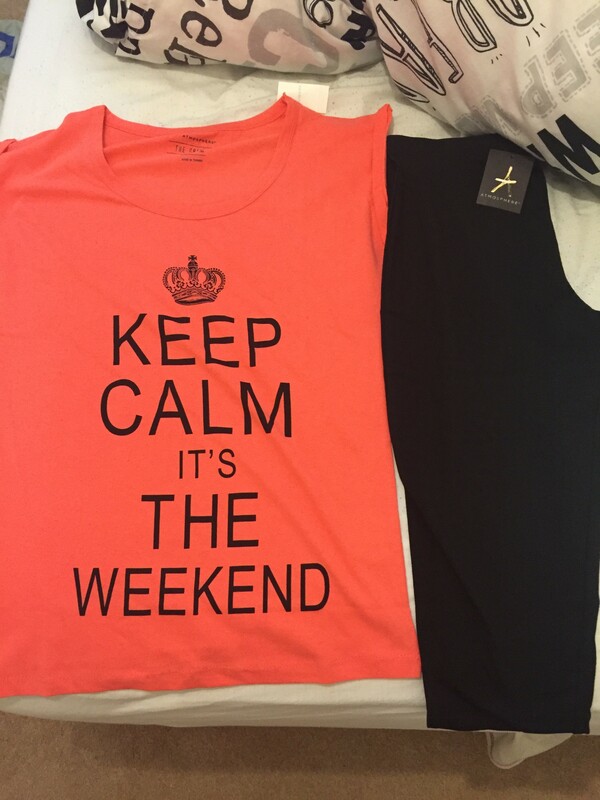 HAPPY FRIDAY is all I can say… It has been one crazy week for me from start to finish. 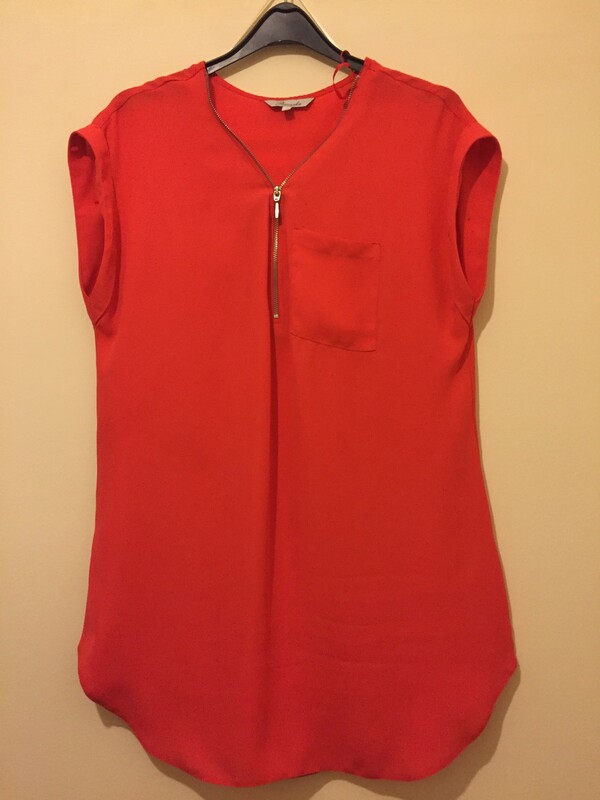 My new top,It’s orange which is a unusal colour for me to buy but loved the style and colour. I popped into peacocks the other weekend and as it was mothers day on the sunday thought I would wear it to show it off and my new boots that I brought a few weeks ago from New Look. For the first time in my life I cooked meatballs, I always thought I never liked them but the fiance wanted them for tea and I couldn’t be fussed to do 2 different meals. That an away day has/will be being organised for June with my work place. It is a yearly thing that is organised. This year we are going to do 4×4 off-road driving and I can’t wait. So as I said last week I would reveal some very, very exciting news…Well….Me and my fiance have finally booked our Wedding for July 2017…I couldn’t be more excited and happy after been engaged for 3 years. Well I have been tagged by the lovely Rachel at Parenthood highs and lows to write up my Non- Negotiable list of happiness. Each person has different things that create their happiness and they won’t negotiate on and no one is ever right or wrong as each person as an individual will be different. Even the very definition of it is ambiguous, with The Oxford Dictionary defining it as ‘the state of feeling or showing pleasure’. I started up my blog 8 months again after having a discussion with my sister-in-law about promoting my handmade card and it went from there. I’m now writing about lots of different things in life and absolutely love every minute of it. If I ever just want to get away from things I will hide myself in my blog and write about things….New post coming soon “Planning a wedding”. 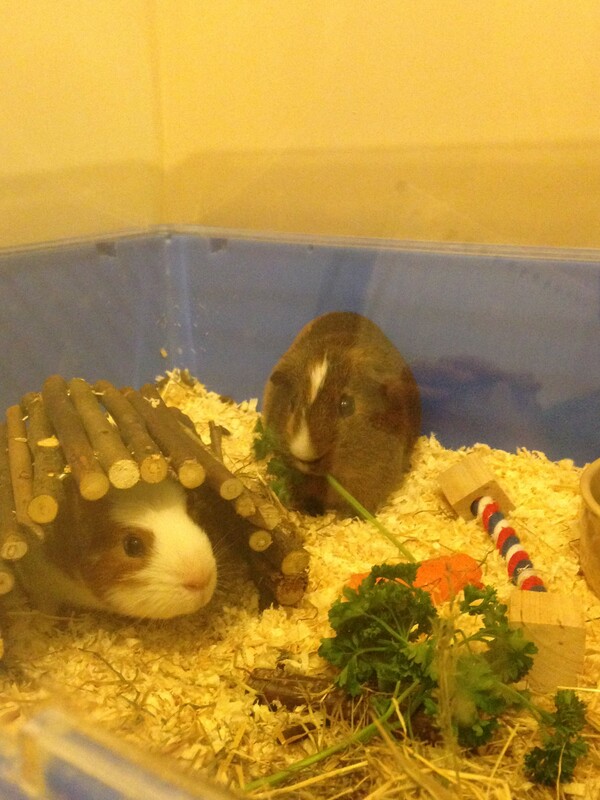 This is probably an odd non – negotiable happiness topic but I love my pets. 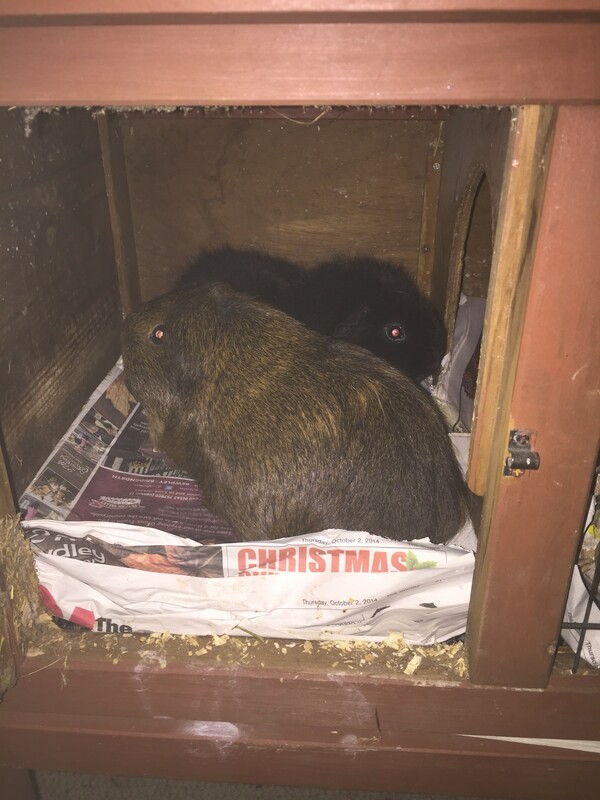 The way they make me feel if I feel down, I can go out to the garden and give them fuss & cuddle and talk to them, they will just instantly cheer me up with their cute little fluffy faces and jumping or Binking around their cages in happiness. I have been making handmade cards and stationery for many years now and it’s another thing that I absolutely love doing. I can go and hide away in the spare room and put some music on and lose myself in creating and designing new card ideas. You can find all the cards I have made here on my KimzKardz but here’s one I made earlier. I have always loved music, and how a good track can always, without fail uplift my mood, if I have had a bad day in general or at work. Most evenings when I get in from work I will plug my phone into the Ipod dock in the kitchen and listen to Spotify while cooking dinner and have a little dance to myself. So there you have it – my ‘non-negotiables’ for happiness list. I now tag the gorgeous Sally at These Junebug Days to join in and share hers.